A title is the beauty of any post by which we define about our post in a single line. There is an option of making the title of the post in more customized and beautiful way. 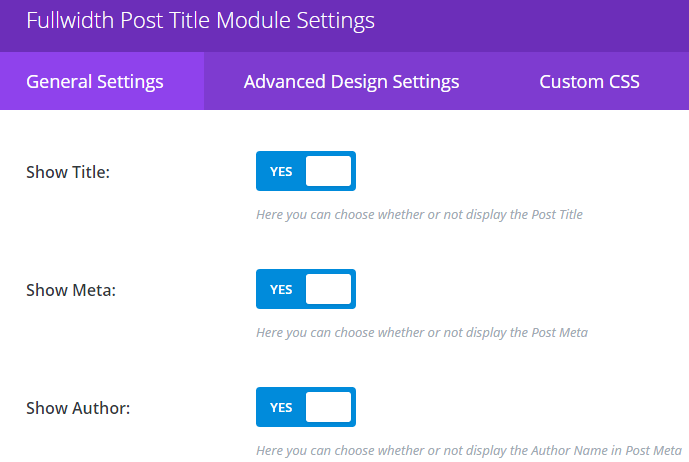 Here is a module by which the title can be made more different and the name of the module is Fullwidth Post Title. Show title: – this will give you the option to display your post title or not. Show author: – this will give you the option to display the name of the author or not in the post-Meta. Show date: – you can display or not the date in the post-Meta section. Show post categories: – it will allow you to choose either to display or not the categories in post-Meta section. Show comments count: – this will allow displaying or not the comments count. Show featured image: – using this will give you the chance to display or not the image which you are using. Featured image placement: – by using this one you can give the placement of the image you want to use. Text orientation: -you can display your text with the option of left, right or center. Text color: – you can give any color of the text you want. Use text background color: – by using this function you can define the background color of the text used in title or Meta. Text background color – by enabling this option you can choose any color of the text you want. 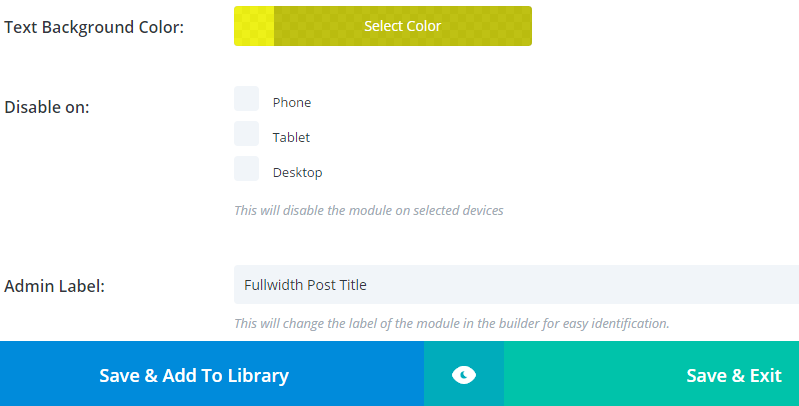 We hope this post will help you to get fully about this Divi Module, Please let us know if there is any query related to this post, we will try to get back to you ASAP. If you find this article helpful, please share it maximum. Stay tuned for more useful tutorials, Have a Good Day!